This post appears as letter to the editor in the August 25th edition of the King's County Record. Sussex and Sussex Corner are moving toward what seems like an overdue conclusion of merger. A merger will forge a new political map and electoral model, so discussions on democratic renewal are more important now than ever. The proposed council would consist of a Mayor and 7 councilors; the councilors, however, would not all be chosen by the same election. Sussex Corner and Sussex boundaries would persist as two separate wards with two representatives each on the new council. In addition, 3 councilors at large would be elected from the amalgamated Sussex. This model seems like a good sell on the surface, but it's actually very flawed in trying to fairly represent citizens. 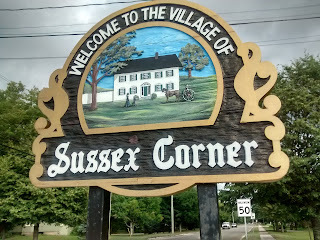 The Town of Sussex has triple the population of Sussex Corner. Why would they have each two seats? 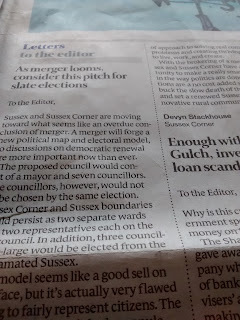 Inherently, Sussex Corner councilors would be elected by fewer electors than their council peers, but would have the same voting authority. Because of over-representation of the wards, the proposed model would create three tiers of public legitimacy among elected representatives with equal authority. Instead of a ward model, we should be considering a slate election model like Montreal and Vancouver use. With a slate model, mutually-endorsing groups of candidates run together on a shared set of values and policy goals. Slate affiliations are indicated on an otherwise unchanged ballot. Slate elections try to steer municipal politics from popularity contests toward robust exchanges of approach to solving real community problems and creating thriving spaces to live, work, and create. 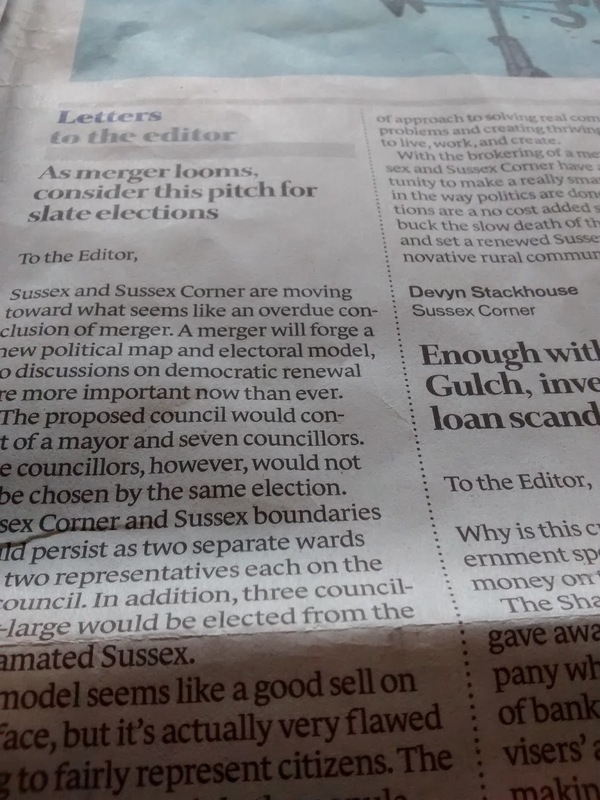 With the brokering of a merger, Sussex and Sussex Corner have an opportunity to make a really smart change in the way politics are done. Slate elections are a no cost added strategy to buck the slow death of the status quo and set a renewed Sussex apart as an innovative rural community.